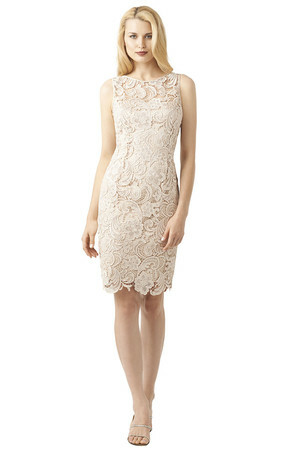 The cool, soothing appearance of the color champagne coupled with an elegant lace design results in a sober-looking attire. Fill in your wardrobe with a few outfits of this color to be worn to various occasions. Let all eyes fall on you at the prom night by decking up gorgeously in a long, flowing backless champagne lace dress, coupled with pearl accessories and a matching clutch. A mermaid cut, flowing lace wedding gown of this color would make you sizzle like a diva on your big day. You might even choose a tea-length outfit with a plunging neckline to wear to a cocktail party. Get the out-of-the-bed look by casually middle parting your tresses if you are off to a casual party or arrange it into a neat bun in case it is a formal occasion. You might even try to color your hair to get the blonde shade, that will perfectly match your outfit.